Now that we have several ongoing Hexiwear programs running at once (Hackster, HWTrek, Design Spark), there’s a need to start answering specific technical questions. We started by updating the GitHub page with two documents. One topic that wasn’t covered so far in our manuals and how-to guides are the specifications of how the K64 MCU communicates with the Bluetooth KW40 inside Hexiwear. This is now addressed in detail in the “Hexiwear UART messaging API” guide. You can read in the documentation folder on Hexiwear’s GitHub repo. The next important update is in the SW folder. Look for a new subfolder with resources for creating OTAP image files (or click here). 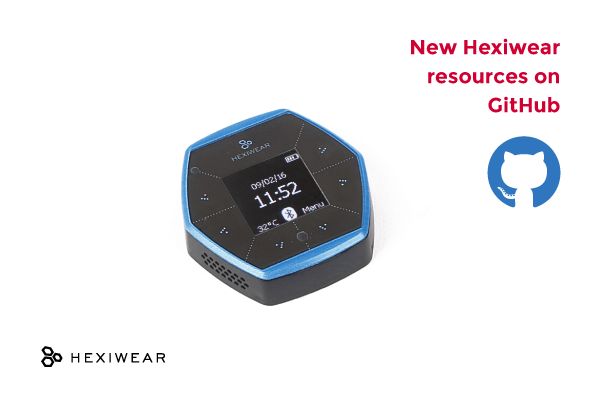 There you will find a set of files and a pdf guide on how to export your KDS source file and convert it to a format that will let you install your firmware on Hexiwear over the air. Less recently, on our docs page we published a guide on setting up KDS for developing with Hexiwear. The content has been taken from one of the Hexiwear webinars hosted at hackster.io. The recording of the webinar is available on the contest page.